Once again another city in the United States is hit by racial unrest prompted by the brutal and lethal force of the police. 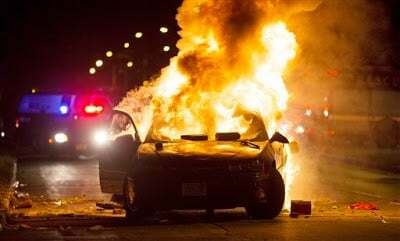 This time Milwaukee, Wisconsin erupted on August 13 after the cop killing of Sylville Smith, a 23-year-old African American. Immediately the police and local authorities sought to criminalize Smith in his death saying he had fled from the cops and later pointed a gun towards an officer. A high-profile Milwaukee County Sheriff said Smith had an extensive criminal record and therefore attempting to justify the police actions. The sheriff later went on to talk about the purported “pathologies” in existence within the African American community adding further insult to injury and death. The family of Smith rejected these allegations about his criminal record. The Smith family said that Sylville had a license to carry a firearm because he had been a victim of crime himself. Unrest erupted in the aftermath of the killing where youth targeted police vehicles and private property. Gun shots were heard when police and firefighters attempted to respond to a blaze at a BP gas station on the north side of the city. The rebellion continued for a second night on August 14 while Republican Governor Scott Walker placed the National Guard on alert. On Sunday evening, August 14, reports indicated that an 18-year-old man was wounded in the Sherman Park area, where the shooting of Smith took place and the center of the unrest. Police claimed they utilized an armored vehicle to rush the victim to the hospital. The 18-year-old was said to have been shot in the neck at 11 p.m. and was still receiving treatment for his injuries. Additional details about the extent of the rebellion revealed by news reports said that seven Milwaukee-area police officers suffered injuries during the disturbances on Sunday (Aug. 14) and into Monday. One of these officers was taken to hospital for treatment. At least two of the officers were said to have had glass fragments in their eyes after concrete was thrown through the front of a patrol vehicle according to Edward A. Flynn, the Milwaukee police chief. Flynn claimed as well that three Milwaukee county sheriff’s deputies were struck by bricks and rocks tossed at them during confrontations with people demonstrating against the killing of Smith. Altogether reports say that six buildings were burned on the evening of August 14. Those businesses set alight included the BP gas station at Sherman and Burleigh, Jet Beauty at 35th and Fond du Lac, BMO Harris Bank at 36th and Fond du Lac, O’Reilly Auto Parts at Fond du Lac and Burleigh, MJM Liquor at Fond du Lac and North and a second liquor store near 21st and Hopkins. The city of Milwaukee has been described as both the worse place in the U.S. for African Americans to live as well as the most segregated municipal area in America. These conclusions were reached based upon first-hand accounts of African Americans themselves along with statistical data which reveal astronomical rates of unemployment, poverty and residential divisions. These conditions have been exacerbated over the last five years due to the austerity and anti-people legislative initiatives launched by the state house in Madison and backed up by Republican right-wing Governor Walker. In 2011, the state of Wisconsin became a focus in the struggle against monumental cutbacks in benefits for public employees. An occupation of the State Capitol in Madison lasted for several weeks involving tens of thousands of workers, youth and community people. Nonetheless, the draconian legislation was signed into law only to be followed by additional bills that instituted right-to-work. Wisconsin, which had a legacy of social democratic policies emanating from the populist movements of the early 20th century, was now leading the way in the opposite direction with attacks on public employee unions and funding for education. Since 2013, there has been an upsurge in mass demonstrations and rebellions against racism and police brutality. The level of political consciousness among youth and workers within the African American community has risen exponentially. 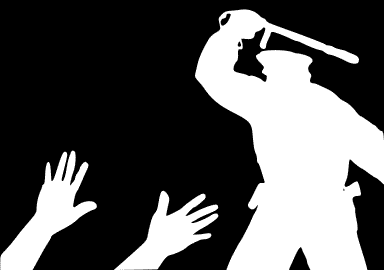 This growing intolerance towards law-enforcement impunity and the failure of the prosecutorial agencies and courts to hold these errant officers accountable has been reflected in a series of rebellions led by African American youth from Ferguson, Missouri to Baltimore, Maryland and now Milwaukee. Although this is an election year in the U.S. neither of the two ruling class parties have addressed the burgeoning crises in the cities and suburbs across the country. The administration of President Barack Obama has not undertaken any policies that specifically address the oppression of African Americans. Obama is supporting the candidacy of Democratic Party nominee Hillary Clinton, his former secretary of state. There is very little enthusiasm for the Clinton candidacy among African Americans even in light of the openly extreme right-wing propaganda of Republican candidate Donald Trump. Consequently, the African American question will not be a focus of the campaign unless the people themselves escalate the level of mass mobilization and unrest on a national level. Between Trump’s racist xenophobia and Clinton’s patronizing approach to the African American and oppressed communities, there is no alternative outside of independent political organization and actions. This is the major challenge facing the African American people to take the lead in developing tactics and strategies that extend beyond spontaneous demonstrations and urban rebellions.